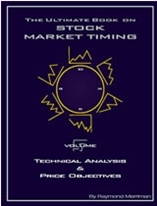 The previous four volumes of this remarkable series on "The Ultimate Book on Stock Market Timing" addressed the subject of when to buy and sell, based on geocosmic and cycle studies. This final volume shows how to determine at what price to buy and sell. Based on specific mathematical calculations and technical studies, this book guides the investor and trader through the methods of determining accurate price targets for long-term, intermediate-term, short-term, and even intraday highs and lows, as developed by the author fromover 30 years of studies. If you know when a cycle is due to culminate, as described in Volumes 1-4, then the last step in this series of trading and investing strategies is to determine the appropriate price at which to buy or sell. This is the book that reveals that final part - the missing link - which will enable you to tie it all together in a powerful trading plan. With all five books in this incredible series, you will now have the most comprehensive set of reference and instruction manuals ever written that integrates geocosmic, cyclical, and technical studies for optimal buy and sell strategies. With these books, you have a clearly constructed roadmap as to where the market is at any point in time, and what strategy to employ. This five-volume set, which started in 1997, is now complete.